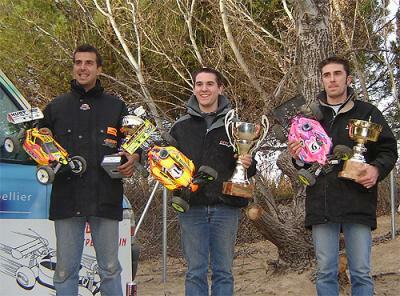 Red RC - RC Car News - Page 4163 of 4240 - Red RC - RC Car product news, views and race results. I know this report is a little bit late, with the Magma race having taken place last month in Canada, but Xray have only now posted a report. Along with the local hotshots at the Fastcat R/C track, some top talent from the US made the trip up such as Baker, Easton and Dayger which made it a very special race. In the Mod and 19T class it was Baker who was setting the pace getting TQ for both and then managed to convert that advantage to wins in both classes. Billy Easton ended up in 2nd in modified followed by Keith Yu while in 19T Martin Crisp ran home 2nd followed by Keven Herbert in 3rd. So we move from one big race in Florida to another with the Worlds best RC racers arriving at the Ft Myers track to the north of Orlando where we just had the Snowbirds. Many drivers from this race will make the Journey to race here including most of the Xray team who will give the NT1 its debut International race on this, one of the most unforgiving tracks in the World. As of Sunday, almost every one is there including the large Serpent team from Europe that includes Salven, Green, Keur, Cornella, Tomaschko and Kandelhart. The Mugen team is there already in force with previous multiple winner Mike Swauger ready to defend his 1/8th title and Kyosho will be present with Cyrul and Tosolini, both drivers yet to make it from the Snowbirds race on Sunday, but of course will be there today to get some practice in. The forecast for today is for it to rain but we’ll have to wait and see how it turns out. 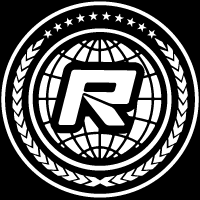 According to the website of the TTech Racing, the company has changed ownership and are now owned by a company called Xtreme-RC. 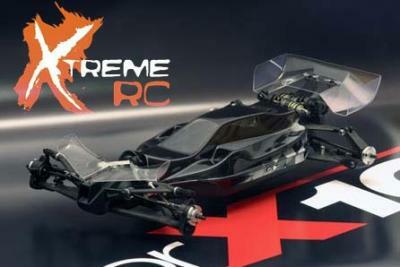 The company that makes the rather unique and very technical looking X10 and XRS 1/10th scale buggies will now be better promoted and will hopefully have the extra cash needed to turn it from small company to major player in the off road RC car industry. 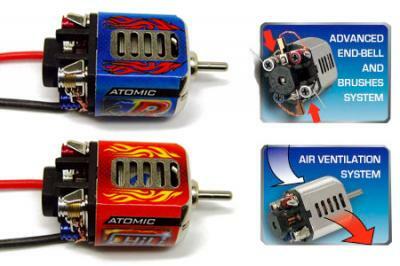 Atomic RC have once more presented us with another neat product to improve your mini scale racing. Presenting their new, and as yet unreleased, Evolution Motors, they will be available in both modified and stock versions called the Chilli and the Stock-R respectively. Each high performance motor will also sport new features such as their advanced end-bell and brush system and an air ventilation system. All the on road racing at this years Snowbirds have been done and in the Touring Pro Mod category it was Xray driver Jilles Groskamp who won the event in dominating style after early leader Mike Dumas, driving for Losi, crashed out allowing Jilles to take the lead where he was never challenged for the rest of the race. Behind him fellow Xray racer LeMieux lost time after clipping a pipe allowing Tosolini, driving for Corally, to get past and despite Paul fighting back Chris was able to hold him off to take the runner up spot with LeMieux settling for the final podium spot. In the other Pro mod category, 1/12th GTP it was German Corally racer Marc Fisher that dominated the event to win it with ease ahead of Mike Dumas in 2nd with Walter Henderson back in 3rd. In 19T Foam Travis Schreven won from the front spot on the grid ahead of Juho Levanen and Paul LeMieux whilst in 19T Rubber class, Martin Hudy converted his pole position into a win, finishing in front of Brandon Melton and Jason Ertrachter in 2nd and 3rd respectively. UPDATE: Received some pics from our sponsor and Jilles sponsor, The Border. 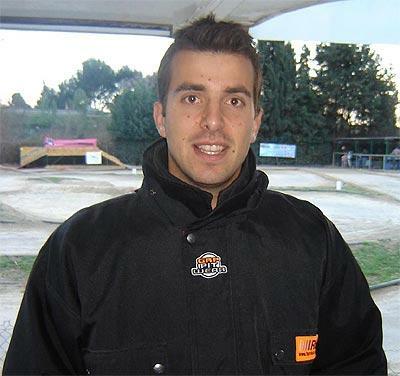 Renaud Savoya has won the 2007 Montpellier GP after a tough battle with European Champion Yannick Aigoin who finished 2nd. The Mugen driver started the race from the pole spot and after losing out at the start to Aigoin managed to get back into the lead after 35 minutes to finish 11 seconds up on the Xray driver. JÃ©rÃ´me Sartel racing the Crono finished the event in 3rd, while fastest qualifier Nicolas Rodriguez could only bring it home in 6th after some problems in the final. Toni Rheinard to quit Kyosho? 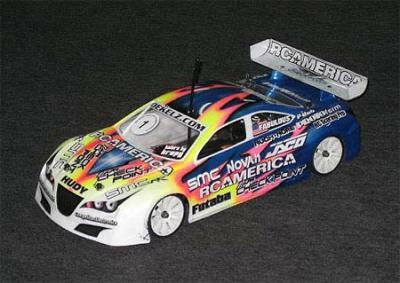 According to a report by rc-car-net.de, German racer Toni Rheinard will quit his drive at Kyosho to apparentley race Hot Bodies. 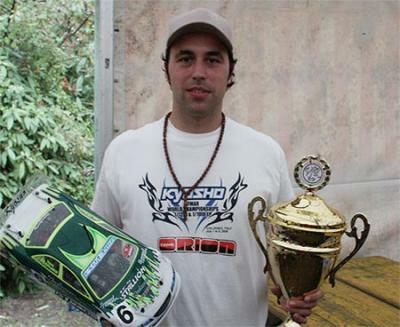 Toni had only signed for Kyosho, from Tamiya, last year after it was rumoured that the Japanese manufacturer couldn’t get their first choice, Toni’s brother and former World Champion Marc Rheinard away from his drive at Tamiya despite their deep pockets. This news hasn’t officially been confirmed but when we hear something more about this situation we’ll let you know. I guess I’m not as up to date on the tire sponsors as i should be, and in buggies it is quite difficult to follow, as it seems i didnt notice the fact that European Champion and Xray team driver Yannick Aigoin has made the switch from Pro Line tyres to GRP. This news came to everyones attention yesterday as he was seen sporting the new rubber, as well as new GRP team wear, at this weekends Montpellier GP. RB Products, for whom Yannick works import both the Pro Line and GRP ranges of tyres into France.